“Living the Dream in Rome, Italy.” Would you agree that everything begins and ends with “gratitude?” If you’ve attended one of our “Winning Together”® programs, or Leadership & Career Webinars, you’re heard me say this before. 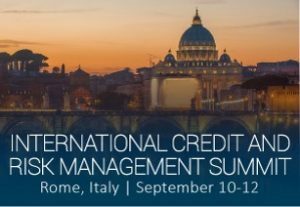 I am very excited to share with you that I have recently returned from Rome, Italy, as a guest speaker to over 55 multi-national country representatives attending an annual “International Credit & Risk Management Summit,” (the folks for whom I deliver monthly int’l Webinars on Leadership, Motivation & Change). The topic was, “The Core Competencies to Lead a Team in International Credit Management.” The presentation was based on “Conscious Leadership” principles, from my Kindle book, “Creating a Culture of Excellence” The 3 Awareness’ – Truly an honor… Why do I believe everything begins & ends with gratitude? Here’s why…besides living the dream as many of us have aspired from that childhood swing, to watching a sunset over a glass of wine…Self-Awareness and Gratitude come to mind. Can you feel it? (reach for it…this is important). Following is another dimension of gratitude & success I really want to share from this exciting Rome experience. QUESTION: “How do You Make a Difference” – in your work & in your professional lives?